In addition to killing 854 cats, PETA urged officials in various communities across the country to round up and kill cats, too, including the Seaside Heights, NJ, Boardwalk cats. Your donation dollars at work. In 2016, PETA rounded up and took in 1,069 cats, of which 855 left the building in garbage bags (854 were poisoned by PETA, 1 died), a death rate of 80%. Since PETA refuses to work with No Kill shelters, another 184 were sent to shelters that kill healthy and/or treatable animals. If they were killed or they displaced other cats who were killed, that puts the overall death rate as high as 99% for cats. Five were reclaimed and only 27 (less than 3% of the cats) were adopted out. Among the dead are unweaned neonatal kittens, six week old kittens with no health problems, eight week old kittens, four month old kittens, seven month old juveniles, one year old juveniles, and healthy adult cats. They were listed as having no illness or injuries or in good health. Some of them were killed within minutes. PETA took in 891 dogs. They put 557 to death, a 63% rate of killing. They sent another 294 to shelters that kill. Like the cats, if they were killed or displaced others who were killed, that would put the overall death rate for dogs at 96%. Five were reclaimed and only 30 found homes. By comparison, Virginia’s combined private animal shelters — which PETA is registered with VDACS as — only kill 7% of dogs and 17% of cats on average. Statewide, including municipal pounds, 10% of dogs and 31% of cats are killed. PETA’s rate of killing is 530% higher for dogs and 158% higher for cats that the average of all pounds and shelters. Compare the open admission shelter in Lynchburg, VA, which took in more dogs and cats that PETA on a fraction of its budget and had a live release rate of 97% for dogs and 86% of cats. Other open admission shelters had even higher rates: placing 98%-99% of all animals. And that’s not all PETA did in 2016 to harm animals. PETA also worked to encourage others to kill animals, too. Not only do they fight legislation to save more of them, not only do they believe all pit bulls should be killed in all shelters, not only do they round up to kill community cats, but they encourage others to do the same. 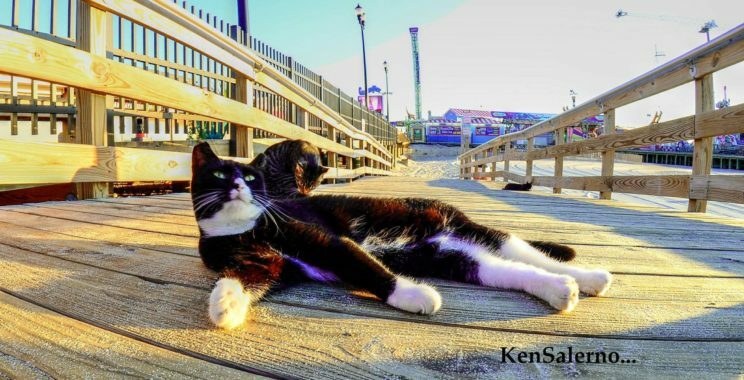 Last summer in Seaside Heights, NJ, they asked the Mayor to evict cats living on the beach, arguing that they “would be better off with a lethal injection.” They also told Camden County officials last month that cats smell, they are a nuisance, make too much noise, are a public health and rabies threat, transmit disease and parasites, including “roundworms, hookworms, and even plague,” and “terrorize and kill” 15 billion other animals a year, urging them to round up and kill cats, too. The statistics are available by clicking here. For 2015 statistics, click here.